There's this scene at the end of the second episode of "Being Serena," the five-part HBO series documenting Serena Williams' life as she becomes a mother, that I just can't shake. 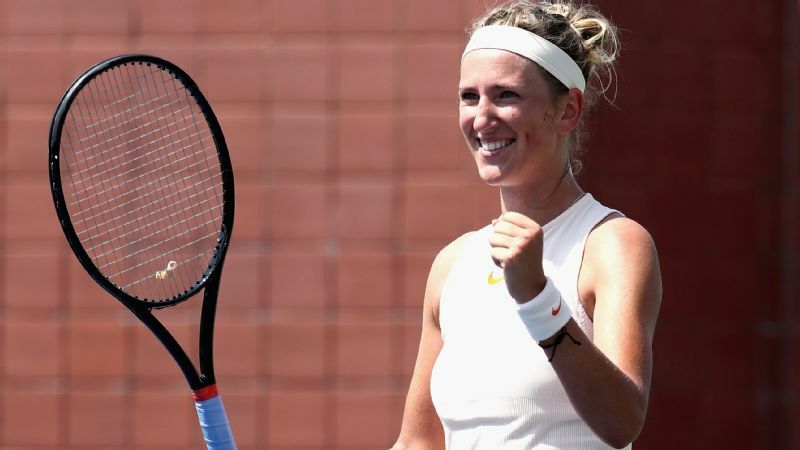 She's back on the tennis court for the first time since giving birth, hitting groundstrokes with her training partner, Jarmere Jenkins, to "see if I still got it" or if "I need to find another career." Her doctors have cleared her for some light running and hitting, but nothing too intense on her legs and midsection, which is still healing after an emergency C-section and several surgeries to deal with post-operative blood clots and a hematoma that nearly killed her. But Serena can feel her competitiveness start to come back almost immediately. She reminds herself to be patient -- or at least, she tries to. "Was it bad?" she asks Jenkins after the workout. "Just now?" he responds, trying to read her obviously trying-not-to-be-disappointed face. "No, no. I don't know how much more you can ask for. Just keeping the ball on the court for now." Serena doesn't answer. She knows he's right. This was always going to be a long road back. Yet living it, pushing through the fear and letting the world see just how hard it is, has left her feeling vulnerable in a way we've never seen before. 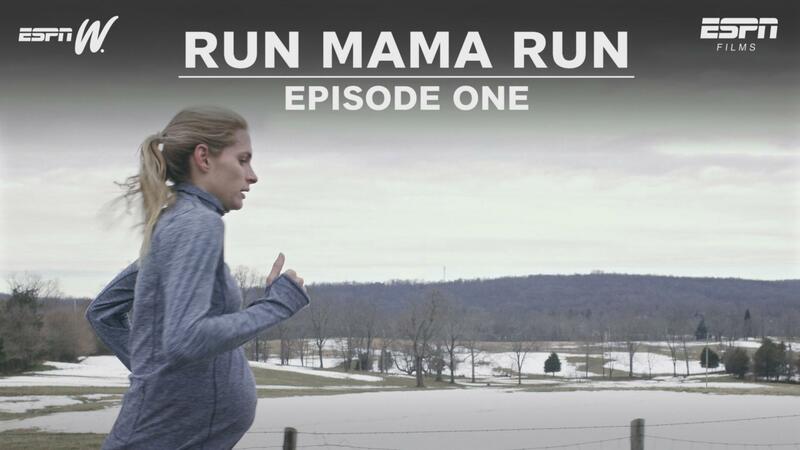 From the moment last spring when she accidentally revealed that she was 20 weeks pregnant by publicly posting a picture of her baby bump on Snapchat instead of sending it privately to a small group, Serena has owned every bit of her journey as a mother. Her heart, the one that made her an all-time great, the one we always marveled at and wondered about, is there for all to see now. And when someone reveals herself like this, when the words feel honest and raw and real, the readers see themselves -- not the author. We stop judging and start connecting. Which is why that "do-I-still-have-it?" look on her face at the end of her first workout sticks with me so much. My husband and I had been thinking of starting a family for several years when Serena revealed she was pregnant. I'd go over it endlessly with friends and colleagues who are mothers, such as reporters Rachel Nichols, Jackie MacMullan, Jessica Mendoza and Shelley Smith and my producer, Hilary Guy. I suppose I was looking for someone to say something that made me feel brave or centered or just more confident that I could do it and maintain the level I'd worked so hard to reach in my career. It feels weird to refer to having a child as a risk to one's career. We're talking about creating life here. Why the hell does your career even enter into that conversation? Yet for intensely competitive women who give so much of their focus and energy to their careers, that's how it feels. You're not supposed to lose out on opportunities in the enlightened, post-"Lean In" workplace, but let's be real. Most people will always opt for the easiest solution, and that's rarely going to be the pregnant woman or new mother. And so we hide pregnancy as long as we can or downplay its challenges. I said all of those things when I first started telling people we were expecting our first child. And then I stopped. I heard those words coming out of my mouth and shook my head. I was not going to go through these nine months feeling like I had to downplay and hide this. No, the one thing I connected with deeply from watching Serena's journey was how empowering it was to see a woman live a vulnerable period of her life out loud. To stand by her choices -- whether it be having children or not having children -- and face whatever fears and challenges came with them. If I didn't feel up to something, I'd say so. If I needed an extra day to finish a story because I just couldn't stay up all night like I used to, I'd send that email without apology. It didn't happen a lot early on. If anything, I was more productive than before because I cut out all the endless procrastination I used to think was part of my writing process and just sat down to work. I traveled all throughout the NBA playoffs, writing off every game and resting on the off days like players are supposed to. But there were times I had to raise my hand to come out of the game and risk whatever consequences came with that. I remember calling my editor, Cristina Daglas, on the day of Game 3 of the NBA Finals in Cleveland and saying I was having a lot of pain from a complication I'd developed and probably needed the night off from writing a postgame column. "Of course," she said. "Just let me know." It was exactly the right answer. The choice was still mine. She didn't overreact or make me feel like the postgame writing assignment would be taken away from me if I couldn't do it. No, it was up to me. I'd earned that respect, and rather than take the easier way out by pulling me out of the rotation, I could sit out of writing on Game 3 and come back for Game 4. A few weeks later, the weekend LeBron James decided to join the Los Angeles Lakers, I had another big flare-up and had to text Rachel Nichols, Gina Paradiso and Richelle Markazene, the host and producers of The Jump, to say I couldn't make it. Later, after LeBron committed to the Lakers, I had to text my SportsCenter producer, Hilary Guy, and say I had about 45 minutes in me, but then I had to get out of the chair and lie down. It hurt my pride to do that. I'm a former college athlete. I've always been able to push through pain or fatigue or whatever I had to to get the job done. But I knew I could be risking early labor if I pushed too far. I had to think of the baby's health. "Of course," they said. "Just let me know." It would've been easier for each of them to make a call and tell me to sit out until after I delivered in September. But they were all honoring my wishes, knowing that I enjoy work and it helped me get through what had become a difficult stretch. So they left it up to me and made sure to keep asking so I would always feel confident that the role I'd worked so hard to have would still be there when I was up for it. But there's a louder voice saying I need to own all that, like Serena has, so we can start reframing how we think of pregnancy and motherhood altogether. Serena hasn't won a major tournament in 18 months, but she seems stronger and more respected than ever because we now know everything it takes to be Serena, mother, wife and all-time tennis great. 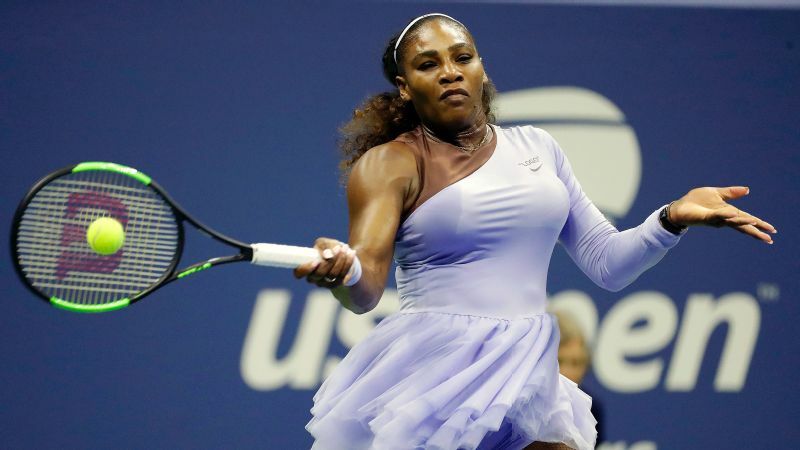 Serena Williams is playing in the US Open this week after making a run at the Wimbledon finals in July, and almost one year after giving birth to her daughter. I don't want to paint too rosy of a picture. I know of a lot of assignments or opportunities I wasn't asked to do, as people tried to "protect" me. Each time I noted and registered the setback. But this experience is also clarifying because it forces you to choose and fight for the things that are most important to you and let the rest go. And on the things you care about and want to do but simply can't -- like be there for the start of NBA training camps -- you have to accept and trust that it'll be there again one day. I haven't given birth yet, but I'll never forget the respect I was treated with during this pregnancy. If anything, it has given me more confidence to deal with whatever challenges I face in the future. If I had just sat it out and gone away when things got hard, I'd never know how much I am capable of. If I downplayed things, I'd never know how much everyone else is capable of. Pregnancy should always be something that enhances a woman's life. It should not be a condition she has to assure colleagues and bosses won't affect her too much. Of course it's going to affect her. Downplaying those challenges only serves to perpetuate the status quo, in which any sort of personal issue is immediately seen as a drain on productivity. This isn't just a female issue, either. I once worked with a male radio host who was back on air less than a week after his wife gave birth. When I asked why he didn't take off a little longer, he said, "In my business, listeners think your show got canceled if you're out longer than a week." In college, I'd watch our football team on my way out to the softball field for practice. A player would get hurt, and everything would stop for 30 seconds or so while the trainers checked him out. If he took longer than that to get up, they'd just move the drill. If another player took advantage of the opportunity that injury created, well, that's just a tough break. Sorry you just tore your knee up, but we've got a game on Saturday. The past few years, I've watched a handful of male colleagues return to work a week or two after their wives give birth and start working and traveling again like they did before they became fathers. That's pretty unrealistic for me or any other expectant mother. As my wonderful colleague Chris Connelly said, "You know, we men can do a better job supporting our female colleagues by taking more time off when we become fathers so it's not so pronounced when a woman goes on maternity leave." He's right, of course. Yet I can't help but feel that the solution isn't in challenging employers and male colleagues to put aside their own self-interests and magnanimously try to help child-bearing female colleagues or employees. Most men would never even see it as a competitive advantage. 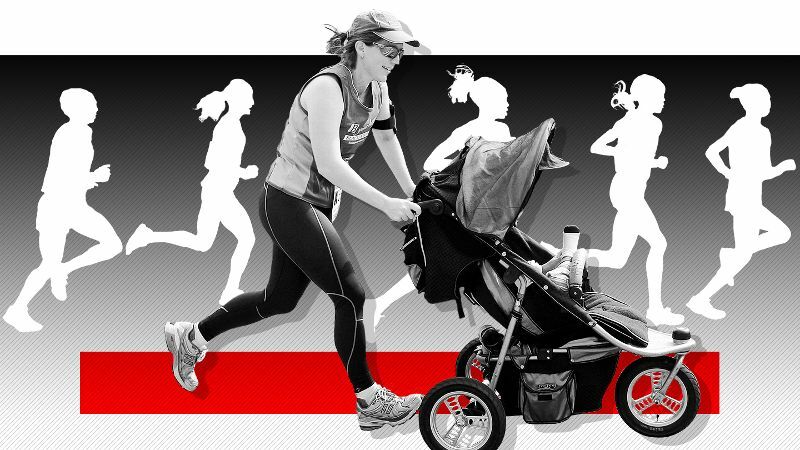 No, the challenge is in reframing how we think and talk about motherhood altogether -- by learning from women who have successfully done that in their professional careers and are confident enough to share how they faced those fears. 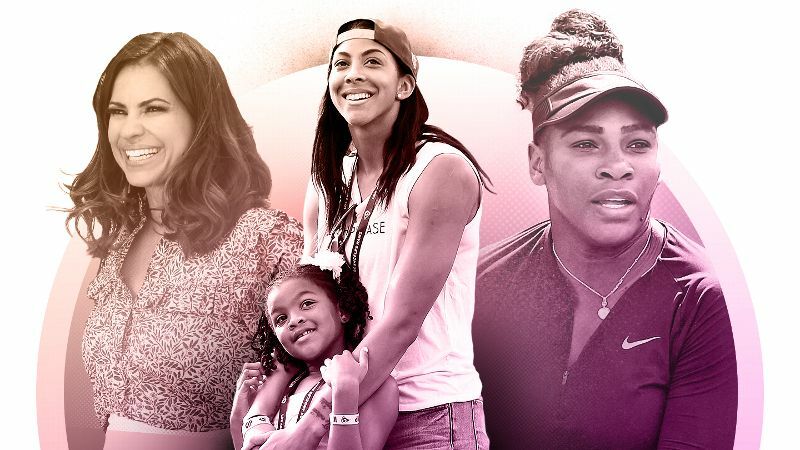 So I called WNBA star Candace Parker and ESPN broadcaster and two-time Olympic softball medalist Jessica Mendoza, both of whom have seen their careers take off since they had children. Those who knew me, knew it wasn't going to be the end of my career. Yes, it was going to be different. But it was never going to be the end. Parker was 22 when she announced that she was pregnant with her daughter, Lailaa, in 2009. She had just won the league's MVP award as a rookie and was being positioned as the new face of women's basketball. "I knew the reaction was like, 'Ah, man, you just got rookie of the year and MVP, and now what? Like, your career is in jeopardy,'" Parker said. "I still was the same person, but initially I was worried about what everybody else thought. "Then once I got over the initial announcement, I was like, 'F--- it.' This is the most important thing to me in my life, and if you're not happy for me, then you're not going to be a part of my life. Those who knew me knew it wasn't going to be the end of my career. Yes, it was going to be different. But it was never going to be the end." Parker has since won a WNBA title, another MVP award and an Olympic gold medal. Yet the basketball accomplishments seem trivial compared to how much she has obviously grown as a person and enjoyed motherhood. "I don't know what I would have done in my life if I didn't have a child. I honestly don't know. I get so much out of it. You think you know love, and then you experience this. "What I've gotten from Serena [Williams] ... Maybe at this point in time, she's not as good on the court as she was at tennis before. But when she gets back in shape, she'll be better because of the amount of love she has and what it's taught her." Mendoza and I played softball together for three years at Stanford and remain close friends. I remembered her telling me all the things she went through to continue her playing career and build her broadcasting career after she had her two sons. But I'd never understood some of the points she made until I reached the same moment in my life. "Before I had kids, I was always just work-work-work," she said. "I wouldn't risk anything, ever. It was always about, 'What does my job need from me?' And then I'd always prioritize that." After her son Caleb was born in 2009, she was determined to get back to an elite level on the field as soon as possible. But while she was training, breastfeeding became a huge challenge. "I lost my milk with [my first son] because I was trying to get back, and I just really couldn't pump because there was no women's bathroom where the softball field was at the Olympic Training Center," she said. She's mad about it to this day. Why didn't she stick up for herself? When she had her second son, Caden, in 2013, she was determined not to let it happen again. This time the challenge was finding time to breastfeed or pump regularly while juggling broadcasting assignments all over the country. "They had me assigned to, like, three games in five days, all over the country, and I had to tell my producer, 'Look, with the schedule you sent me, it's really impossible for me to get milk to my child unless they have some sort of shipping service.'" It wasn't an easy conversation to have with a powerful boss she had just begun working with. But this time, Mendoza had the confidence to speak up for herself. "I don't think he liked that because he made a comment to me later about how another reporter was, like, the perfect reporter because she never made a big deal about having children. So it obviously stayed with him and bothered him that I wasn't this perfect, 'I'll do anything'-type reporter. "But what I really remember from that was that I had this confidence to stand up to someone that I didn't have this strong relationship with. I had confidence in a lot of areas, but not when it came to work and fighting for my personal life." There's something incredibly empowering about knowing what's important to you and then standing behind it. And it bears noting that Mendoza's broadcasting career took off shortly after that experience. She became ESPN's first female baseball analyst in 2016, joining the Sunday Night Baseball crew. A lot of people might read this and decide that women who choose to have families are also choosing to live with whatever consequences that brings to their careers. Harsh as that might sound, there's truth in that. What I'm asking is why do those "consequences" have to be negative? Can we open ourselves to the idea that living out loud and standing behind your choice to have a family -- or not to have a family -- might actually make a woman stronger, more powerful and better at what she does? Serena Williams was already one of the greatest athletes of all time. She has become so much more since she became a mother.